Master the role of project manager with Smartsheet. To become a certified project manager, you must be proficient in key areas that help ensure successful project outcomes. These areas include integration, scope, time, cost, quality, procurement, human resources, communication, risk management, and stakeholder management. Project managers must take and pass a Project Management Professional (PMP)® certification exam, offered by The Project Management Institute (PMI), that tests these key components. In this article, you’ll find a comprehensive overview of the steps involved in becoming a project manager including PM certifications, online training courses, and training preparation resources. Learn more about the different types of certifications, how to access them, and what area of project management best suits you. To become a project manager, a well-rounded education, experience in the project management field, and a certification is required. Requirements vary on a case-by-case basis, based on variables like education and experience. The PMP certification exam proves that a project manager is not only proficient in the aforementioned skills but can lead teams through projects with efficiency and success by acting as a liaison between team members and key stakeholders. With a certain amount of training and engaging with this exam, a successful project manager aids in the management, execution, and completion of projects within a company. Project managers with a four-year secondary degree require three years of PM experience, 4,500 total hours leading and directing projects, and 35 hours of project management education. Comparatively, project managers with a high-school diploma require five years of PM experience, 7,500 hours leading and directing projects, and 35 hours of PM education. Team Kanban Practitioner (TKP): Learn about the core concepts of the Kanban Method and master the designing and implementation of Kanban boards with this certification. Kanban Systems Design (KMP I): Gain knowledge about the fundamentals of the Kanban Method to improve team collaboration, shifting priorities, and work timelines through this Kanban systems design course. Kanban Management Professional (KMP II): Become a certified Kanban professional through courses that outline the inner workings of Kanban and its best practices. Accredited Kanban Trainer (AKT): Advance your Kanban knowledge even further and become certified to teach Kanban practices through this advanced certification. CSM Certification: Learn about the processes of an agile development team while becoming certified to manage the process and balance a fluid Scrum project. Professional Scrum Master I (PSM I): Discover the advantages of Scrum project management in software development and learn how Scrum principles can efficiently be applied in the workplace through this training course. Certified Scrum Developer (CSD): Further your knowledge of Scrum principles and learn to specialize in Agile skills through formal training and technical assessments in this interactive training course. Professional Scrum Developer I (PSD I): Become a quality deliverer on software project management through real-life Scrum practices, technical training, and best practice tips through this certification. Scaled Agile Framework (SAFe): Learn how to best implement comprehensive Agile frameworks and techniques that organize workflows and increase efficiency in this hands-on training course. Certified Professional in Supply Management (CPSM): Be recognized as an experienced professional in procurement, supply management, and supply chain management through this extended knowledge course on skills and best practices. There is a lot of preparation that goes into any exam, especially the Project Management Professional (PMP)® Certification Exam, offered by the Project Management Institute (PMI). Although there is not hard data about exam details and results, it is estimated that between 50 and 60 percent of people pass the exam on the first try, making the PMP one of the hardest tests for professionals. Refer to the Most Recent Version of the PMBOK® Guide: The actual PMP exam changes every three to five years, so staying up to date on the most crucial terms and concepts is key. It is critical to read the guide in full and take in all of the concepts, as well as the relationships between the inputs, tools, techniques, and outputs (ITTOs). Allow the PMBOK® Guide to be the ultimate resource for your study plan. Identify the Best Way to Learn: Create a personal plan that is specific to you. Develop the most efficient ways to study, asking yourself whether you are a visual learner, if you have certain memorizing methods, and if there is a best practice to help with retention of information. Develop a Study Plan, and Stick With It: Much like managing a project, creating and maintaining a study plan is essential to success. Create a set list of tasks to complete as you go through the studying process. Set a timeframe, gather your materials, set reasonable goals, benchmark performance with practice tests, analyze your performance, celebrate progress, and communicate that progress with others. Create a Definitive Schedule: Design a feasible schedule for yourself that will allow you to achieve the aforementioned goals. Form solid study habits that you stick to throughout the entire process, and check up on your progress regularly. Pay Attention to Vocabulary and Memorize Terms: According to PMI, people often fail the PMP exam because they fail to understand and memorize the vocabulary located in the glossary. Practice the terms and their application on repeat, for both the benefit of the exam, and also for your project management skills afterwards. Take Notes and Practice Exams: Update your notes as you go through the guide and make sure you have a solid understanding of all concepts. Many people recommend a “brain dump”, which involves writing down all critical concepts involved with taking the exam: formulas, facts, and vocabulary. How Can a PMP Study Plan Help You Pass the Exam? The MIT Sloan School of Management is a world-renowned business school dedicated to teaching undergraduate and graduate students about thought leadership, project management, and work theory. At MIT Sloan, customized classes and certificates are offered to help reach personal and professional goals in the management field. Archived courses and lecture videos are available online to reference, like this Agile Project Management lecture. There is also an ability to gain and MIT Sloan Executive Certificate, which announces a formal recognition of professional development, specific to project management and continuous learning. This certificate offers three separate concentrations: Strategy and Innovation (SI), Technology, Operations, and Value Change Management (TOPS), and Management and Leadership (ML). After completing these tracks, you will be recognized as an MIT Sloan Executive Certificate recipient. 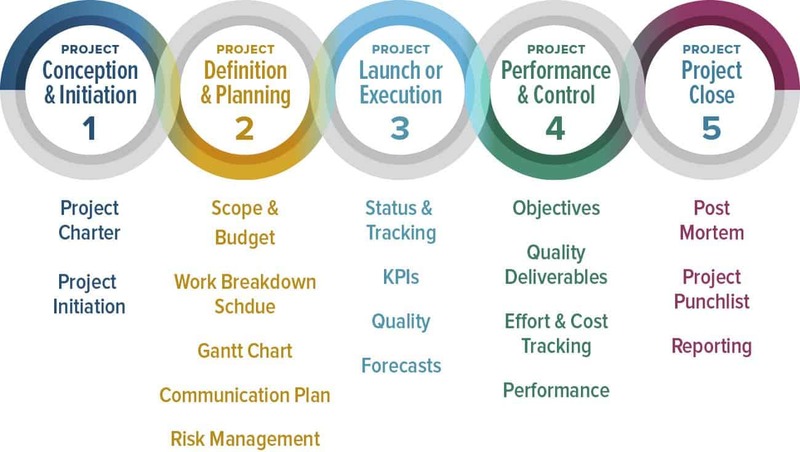 The Project Management Institute (PMI), according to their website, is the “leading professional membership association for the project management profession.” The PMI works to enhance the careers of working professional around the work by improving their skill set associated with project management. The PMI offers a total of eight certifications that recognize this upper-level knowledge of project management. The highest level exam, the Project Management Professional (PMP) certification, is the greatest certification for PMs worldwide. Passing this exam signifies utmost knowledge about project management.